Tamiya Rock Socker Crawler « Big Squid RC – RC Car and Truck News, Reviews, Videos, and More! 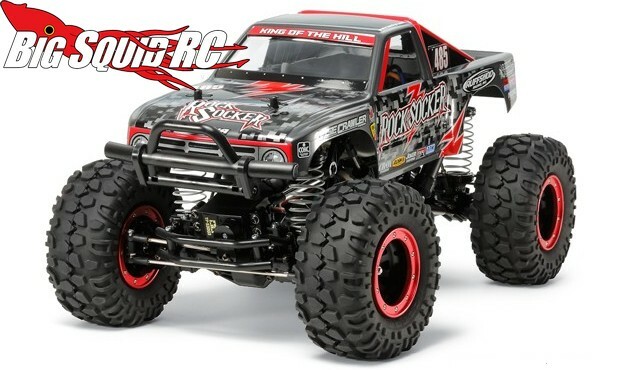 The crew over at Tamiya have a new vehicle for the crawling crowd called the Rock Socker. The Rock Socker is a kit that uses a modified Stadium Blitzer body mounted on a Tamiya CR-01 chassis. With 4wd, 4-link suspension, and solid axles, it should be able to crawl over some gnarly terrain. The Rock Socker has a part number of #58592, a retail price of $530, and you can Click Here to check out its page over on the Tamiya website. Check out This Link for more Tamiya news on BigSquidRC.